An insurrectionist who fought to restore the Hawaiian monarchy, and who was sentenced to death for treason, Robert W. Wilcox eventually organized a potent home-rule movement, won election as the new territory’s first Delegate, and became the first Asian Pacific American elected to Congress. A symbolic figure who embodied the complexities of managing the United States’ growing empire in the Pacific, Wilcox exercised limited influence on Capitol Hill. His focus on territorial politics, devotion to Native-Hawaiian concerns, and strong preference for Hawaiian independence were all hallmarks of his brief U.S. House career. Members of the reform government decried the destructive activities of “two or three men, on whom this Government has spent some twenty thousand dollars to give them a foreign military education—for what?”6 Wilcox was charged with treason, but the law dictated that he be judged by a jury of his peers of Native or part Hawaiians. Knowing no Hawaiian jury would convict him, the reform cabinet met with Wilcox’s attorney to suggest he plead guilty to conspiracy and serve one year in prison, but Wilcox, embittered at his failed revolt and news of his infant daughter’s recent death, refused that concession. Reluctantly, the government dropped the treason charge and tried Wilcox only for conspiracy. After two juries heard the case, Wilcox was found innocent and released, and became a native hero. Wilcox and others who had grown impatient with the new queen, Liliuokalani, formed an alliance informally called the Equal Rights League, which favored annexation and the abolition of the monarchy coupled with empowerment of Native Hawaiians in politics. Their unstated goal was the removal of haole politicians from places of power in the government.8 For participation in that scheme, Wilcox and other group leaders were briefly jailed. However, Wilcox did enjoy more privileges than other statutory representatives. Unlike the Resident Commissioners from the Philippines and Puerto Rico, he had immediate floor privileges and was entitled to address the House as a Member. But his grasp of spoken English, which in some transcripts was broken, may well have dissuaded him from speaking on the floor. The Congressional Record contains no speeches by him, not even inserted into the “Extensions of Remarks,” and lists only one instance in which he participated in floor debate. Language barriers aside, he enjoyed the advantage of being able to serve on House committees. He arrived too late in the 56th Congress to be assigned to any panel. But at the opening of the 57th Congress in December 1901, he was assigned to the Private Land Claims Committee and the Committee on Coinage, Weights, and Measures.25 These were middling assignments at best in terms of their influence and desirability, but they were relevant to several issues that mattered to him. In early 1902, Wilcox’s health kept him from his congressional duties and largely confined him to home for several months. He suffered from severe stomach ulcers. His recurring health issues, coupled with the coming elections, shifted his attention away from Washington, where he had never fully been engaged, to back home, where his true interests were. 1“Robert W. Wilcox,” Biographical Directory of the United States Congress, 1774–Present, http://bioguide.congress.gov/scripts/biodisplay.pl?index=W000459; and A. P. Taylor (Librarian of the Archives of Hawaii), “Biographical Sketch of Robert William Wilcox,” Box 174, Biographical Directory of the United States Congress, Research Collection, Office of the Historian, U.S. House of Representatives. 3Sobrero arranged for an annulment that was granted by Pope Leo XIII and the Civil Court of Italy in 1895. See Taylor, “Biographical Sketch of Robert William Wilcox”; Ernest Andrade Jr., Unconquerable Rebel: Robert W. Wilcox and Hawaiian Politics (Niwot: University Press of Colorado, 1996): 65. 6Editorial, 31 July 1889, Pacific Commercial Advertiser: 2. 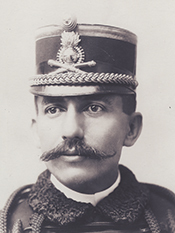 7“Robert W. Wilcox Dead,” 27 October 1903, Hawaiian Gazette: 3. 8Merze Tate, The United States and the Hawaiian Kingdom (New Haven, CT: Yale University Press, 1965): 114–115; Helena G. Allen, Sanford Ballard Dole: Hawaii’s Only President, 1844–1926 (Glendale, AZ: Arthur H. Clark Company, 1988): 182; Andrade, Unconquerable Rebel: 107. 11Andrade, Unconquerable Rebel: 191; Stephen W. Stathis, Landmark Legislation, 1774–2002: Major U.S. Acts and Treaties (Washington, DC: CQ Press, 2003): 149. 12Tom Coffman, The Island Edge of America: A Political History of Hawai‘i (Honolulu: University of Hawai‘i Press, 2003): 9; Ethel M. Damon, Sanford Ballard Dole and His Hawaii (Palo Alto, CA: Pacific Books, 1957): 340; Andrade, Unconquerable Rebel: 194. The Hawaiian Organic Act went into effect as 31 Stat. 141 (1900). 14Allen, Sanford Ballard Dole: 239; Andrade, Unconquerable Rebel: 191–192. 15Allen, Sanford Ballard Dole: 238–239; Andrade, Unconquerable Rebel: 195. 16Andrade, Unconquerable Rebel: 195, 196. 18Ibid., 198; Taylor, “Biographical Sketch of Robert William Wilcox”; Robert C. Schmitt, Historical Statistics of Hawaii (Honolulu: The University Press of Hawaii, 1977): 603. 19Andrade, Unconquerable Rebel: 200, 218. 22House Committee on Elections, No. 1, Charges against Robert W. Wilcox, 56th Cong., 2nd sess., H. Rept. 3001 (1 March 1901): 1–4. See also Chester H. Rowell, A Historical and Legal Digest of all the Contested Election Cases in the House of Representatives from the First to the Fifty-Sixth Congress, 1789–1901 (Washington, DC: Government Printing Office, 1901): 601–603; Andrade, Unconquerable Rebel: 220. 23“A Brilliant Speech,” 24 October 1900, The Independent: 3. 25David T. Cannon et al., Committees in the U.S. Congress, 1789–1946, vol. 3 (Washington, DC: CQ Press, 2002): 1128. 26A Bill To Extend the General Land Laws of the United States to the Territory of Hawaii, with Rules and Regulations for Homestead Entries by the Secretary of the Interior, H.R. 13906, 56th Cong., 2nd sess. (29 January 1901). 27H.R. 6561, 57th Cong., 1st sess. (1901); Andrade, Unconquerable Rebel: 220. 28A Bill To Provide Special Land Laws for the Territory of Hawaii, H.R. 3090, 57th Cong., 1st sess. (6 December 1901). 29Testimony before the Senate Committee on Pacific Islands and Porto Rico, Hawaiian Investigation, Part 2, 57th Cong., 2nd sess. (1902): 526. 30Congressional Record, House, 56th Cong., 2nd sess. (4 February 1901): 1915. 31A Bill Relating to the Retirement of Hawaiian Coinage and Currency, H.R. 4343, 57th Cong., 1st sess. (10 December 1901); Andrade, Unconquerable Rebel: 223. 33Hawaiian Investigation, Part 2: 525–526. 39H.R. 13706, 57th Cong., 1st sess. (27 March 1902); Public Law 57-118, 32 Stat. 200 (1902). 41Damon, Sanford Ballard Dole and His Hawaii: 343. 45No title, 18 July 1902, Hawaiian Star: 4. 48“Prince in the House: Kalanianaole Defeats Delegate Wilcox in Hawaii,” 13 November 1902, Washington Post: 3. 49Congressional Directory, 58th Cong., 1st sess. (Washington, DC: Government Printing Office, 1903): 133; “Prince in the House: Kalanianaole Defeats Delegate Wilcox in Hawaii.” For election results, see Schmitt, Historical Statistics of Hawaii: 603. 53“Hawaiians Mourn for Their Delegate,” 25 October 1903, San Francisco Chronicle: 18. 54“Robert W. Wilcox,” 25 October 1903, Pacific Commercial Advertiser: 4. Papers: In the Constance Goddard DuBois papers, 1897-1909, 1 cubic feet. The papers contain one folder about Robert Wilcox and the Hawaiian Rebellion. Papers: In the Nathaniel Bright Emerson Papers, ca. 1766-1944, approximately 1,887 items. Other authors include R.W. Wilcox. Papers: In the Articles about the 1893 overthrow of the Hawaiian monarchy and subsequent events from 19th century American newspapers, 3 volumes. Topics represented include R.W. Wilcox. Andrade, Ernest, Jr. Unconquerable Rebel: Robert W. Wilcox and Hawaiian Politics, 1880-1903. Niwot, Colo.: University Press of Colorado, 1996. "Robert W. Wilcox" in Asian and Pacific Islander Americans in Congress, 1900-2017. Prepared under the direction of the Committee on House Administration by the Office of the Historian and the Office of the Clerk, U.S. House of Representatives. Washington: Government Publishing Office, 2018.